Very interesting! I can't wait to hear some sounds. 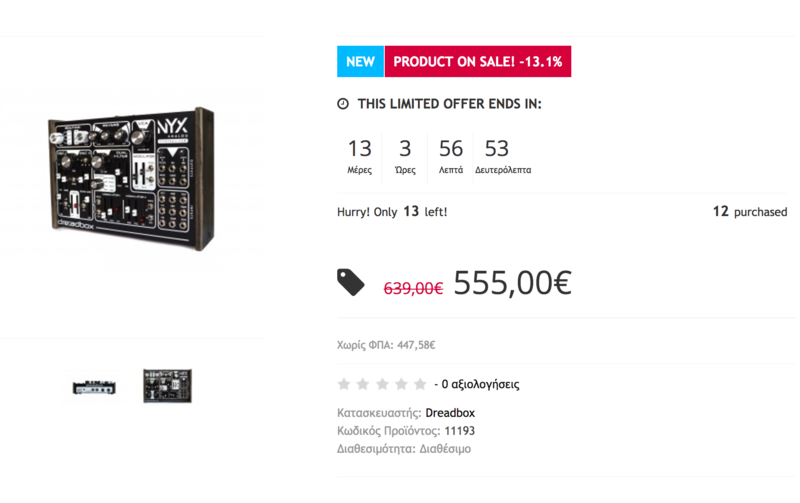 Pre-order for €555 inc EU-wide shipping at Synthesizer.gr till end of Dec. Roughly £75 cheaper than KMR. Loving the sliders the synth world needs more sliders and push pull pots wouldn't hurt either. Oh man. I said I wasn't going to buy any new gear for a while, but this looks and sounds amazing from the limited demo. I think I'll hold off till I see a bit more, but I love both my Hades and Erebus. Edit: Only 13 left at that GR site? hnnghhh. Haha! I know how it feels, it's usually my SOP. Remove the item from your basket, and it jumps back up to 13. I've spoken to them, and it's apparently a bug, but worth being aware of if you are relying on that counter for an indicator before purchasing! I like the sound, really bright! How exactly does it differentiate from the Erebus? I'm thinking about buying an Erebus for month now but I think I will wait for the polyphnic version. Ha, I just bought the Erebus last night not knowing this was coming. I still like the Erebus delay and feature set. That reverb on the NYX is pretty interesting though. They might pair together well. When I can I'll share an image with you all! Being quite new to modular I've only had very limited experiences with companies and their products. 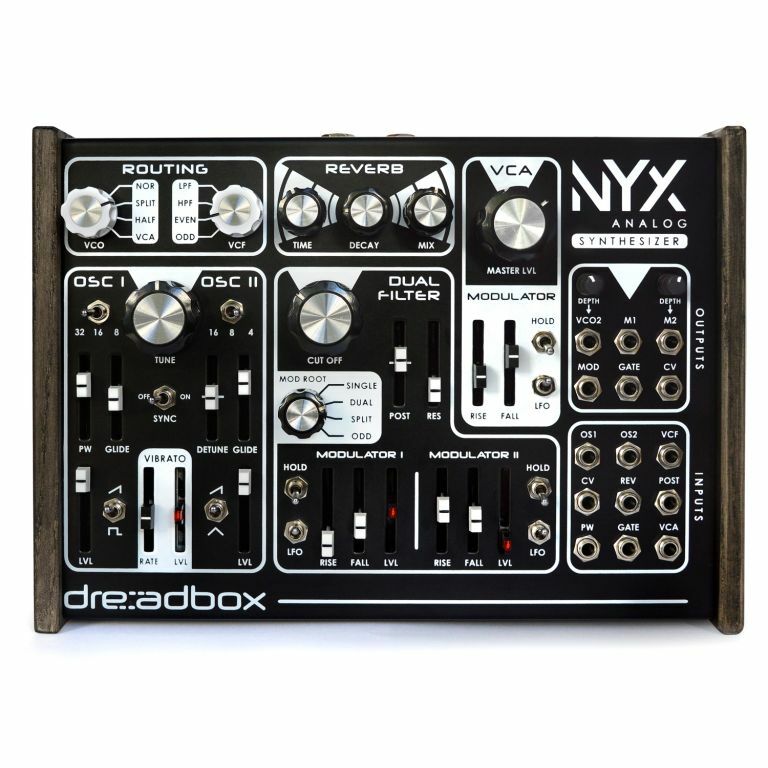 But, I am a huge fan of Dreadbox. They are the nicest people, and judging by the sound of the Erebus and now the nyx, the know and appreciate the importance of delay and reverb. I was almost tempted to just buy the whole set after this experience. But, alas..I must spread my money around. Fan of this company..looking forward to more sounds from this box. Awesome as usual. Love this Company. That sound really great I already have a modular system, but I like the idea of semi-modular. It's less work, but has the same potential for crazy sounds. I may just pick one up... Not anytime soon though, there's some bread and butter things I still have to get for my studio first Hopefully this won't be a limited run like the murmux. Just gripped this, got sick of using euro to do a basic subtractive voice live. Kind of what I'm doing now. Gathering together several flavors of mono analog synths. I have an Erebus, an SEM patchpoint (on order) and I want to get a Mother32 next. Semi-modular monosynths fit right in with my workflow better than keyboard monosynths. Even the Roland System 8 has fit the bill with the cv/gate and trigger features. I love the flexibility of the modular and I have a few select polysynths to compliment it but fast and familiar sounding monosynths makes sense for me right now. I love my erebus and the NYX seems like it would be a good partner but id kind of like to see how the Abyss turns out. Anyone know if NYX is a limited run or will US retailers get some? I was told by the Greek suppliers that 'it isn't going away', which I presume means it is going to be around and available generally, like the Erebus et al.